Motorists beware. 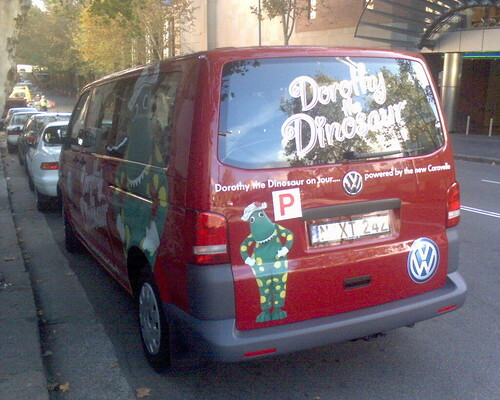 Dorothy the Dinosaur has been granted her ‘P’s. This entry was posted in Photos and tagged Dorothy the Dinosaur, P, photo. Bookmark the permalink.